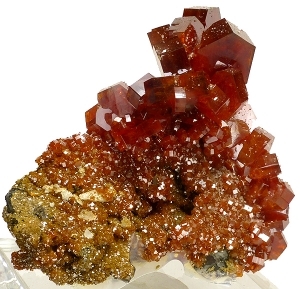 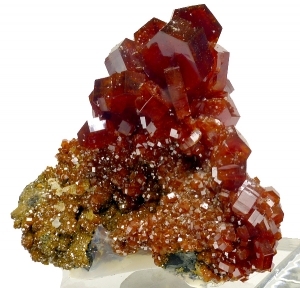 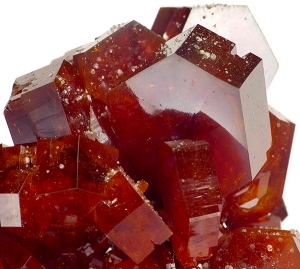 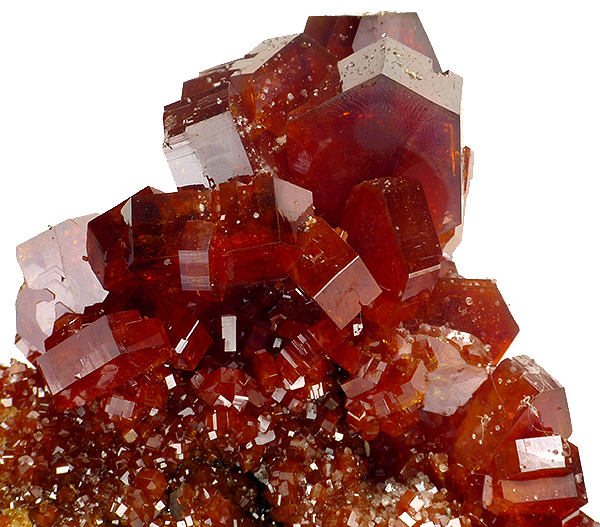 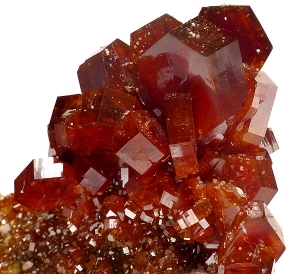 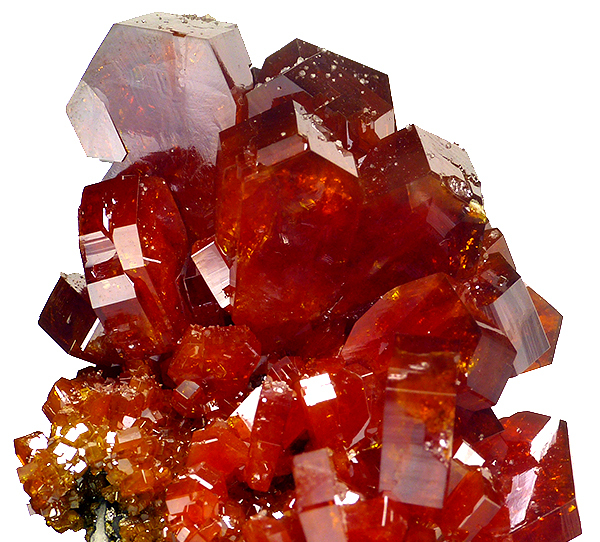 Great miniature of lustrous and sharply formed vanadinite crystals in great red color on matrix. 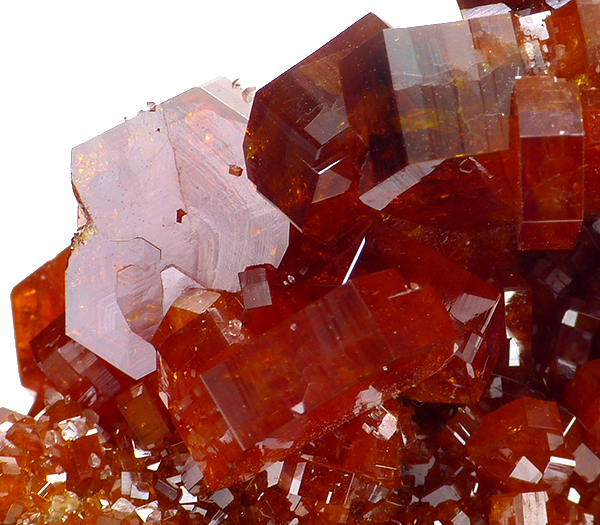 Top color and luster. 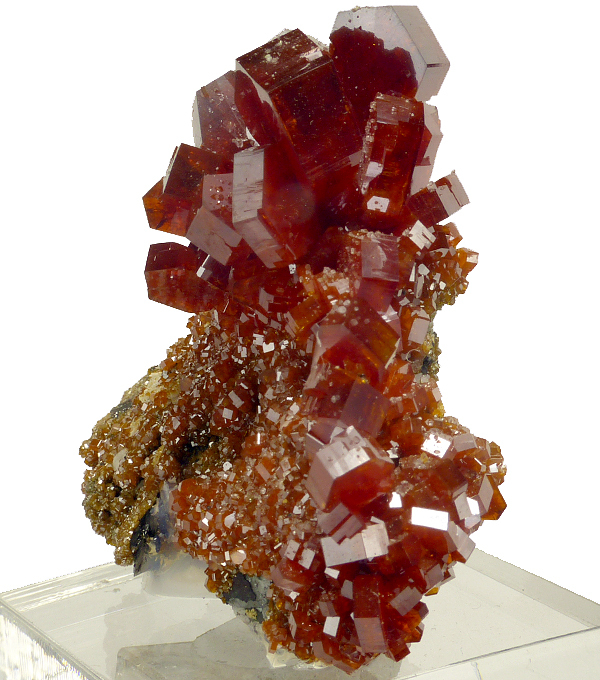 Mounted to acrylic base. 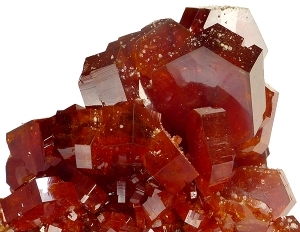 Very aesthetic.